After Taiwan, is third power on the rise in Hong Kong? Edward Leung of the Hong Kong Indigenous says localist force and the pan-democrats and the pro-establishment camp are the Big Three in Hong Kong's political scene. Alvin Yeung Ngok-kiu of the Civic Party won the Legislative Council New Territories East by-election on Sunday, grabbing 160,880 votes, or 37.2 per cent of the total votes cast. Holden Chow Ho-ding of the Democratic Alliance for the Betterment and Progress of Hong Kong came second with 150,329 votes, representing 34.8 per cent. Edward Leung Tin-kei of the localist Hong Kong Indigenous got 66,524 votes, or 15.4 per cent of vote share. Altogether, the trio has pocketed a total of 87 per cent of votes. The localist camp has emerged as a rising force. Some pundits said the political scene is now being carved up by three forces, namely the pro-establishment loyalists, the pan-democrats and the localists. Some disagree. Chairwoman of the Democratic Party Emily Lau Wai-hing argued Leung has gained just about 60,000 votes. She asked: How can that be justified as a case of a tripartite heaven? The fact is results of the Legco by-election might not reflect the city’s full political spectrum because the two major camps (pan-dem and pro-establishment) and the localists have thrown their weight behind one candidate from their own camp respectively. Other like-minded groups in each camp have made way for the three candidates so that they could pool together votes from their supporters to help boost their chance. It will be a different ball game in September when various political parties in each camp file their own candidates. Similarly, there are also various groups under the banner of localism. If they fail to coordinate their candidates, they will fight against each other for the same pool of voters. Those who are weaker will be in a more difficult situation. If we put aside the actual figures of election results, there is a point to say there are three kinds of ideology and political lines in Hong Kong’s political scene. All candidates will be put into the pigeon holes of pro-establishment, pan-democracy and localism. Even though there are the so-called centrists, they will be classified as “close” to pan-democracy, pro-establishment and localism camps. The rest are not even worth mentioning. The third power generally refers to the third force that has emerged in places where elections are dominated by two major political parties. That has happened in some Western countries where democratic elections have been held for some time. Although democratic elections have been in place in some Asian countries, they have often been dominated by one political party with other political parties being limited to a minor role. In Taiwan, the Kuomintang has dominated power for some time even after democratic elections were introduced. The rival Democratic Progressive Party has caught up swiftly, resulting ultimately in peaceful transfer of power among political parties. The New Power Party comprised of young activists has gained five seats in the Legislative Yuan elections in Taiwan in January. It has emerged as the third force in Taiwan. 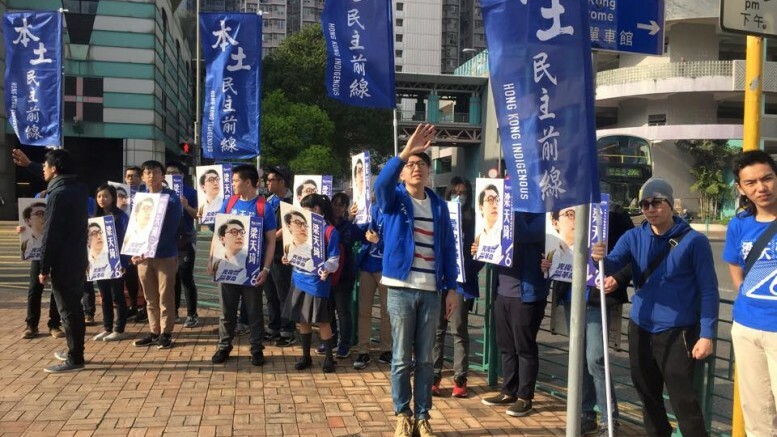 Political parties in Hong Kong always turn to Taiwan for ideas. So, how did the tripartite political scene in Taiwan come about? Back in 2000, Taiwan has seen a tripartite scene when the New Party was inaugurated. It targeted at the middle class. But because of its deep connections with the KMT, its political positioning has become ambivalent, and its influence diminished. Similarly, some political parties that were seen as being too close and similar to DPP have also gradually faded out from the political scene. Political parties that come into being because of a split from two major political parties are not real third force. Real third force is new force that gains its life from new political environment. Both Taiwan’s New Power Party and the localist force in Hong Kong have no connections with the two original major political parties in both places. There are major differences in their basic political lines. From that perspective, Hong Kong’s political scene has shown signs of a tripartite structure. Chan King-cheung is a veteran journalist. This is a translated version of his regular column published in the Chinese-language Ming Pao. Be the first to comment on "After Taiwan, is third power on the rise in Hong Kong?"